Similar in size and appearance to the Pomeranian, the Volpino Italiano is a much rarer breed. Developed in ancient Italy, this dog breed was loved by royalty and peasants alike as it is very friendly and energetic. 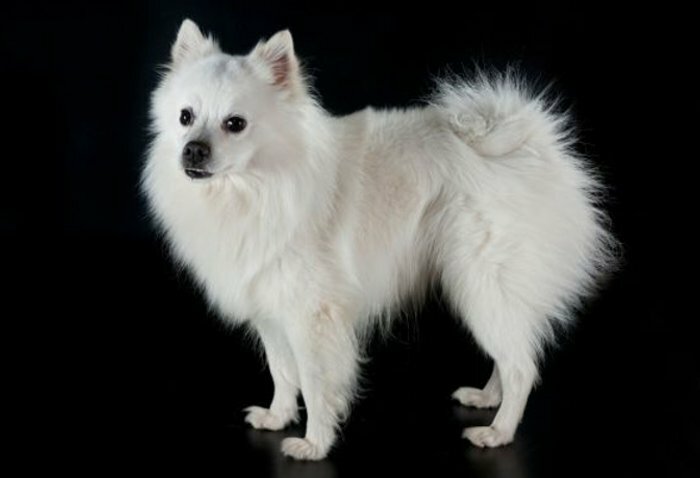 This small Spitz breed has charmed Italian royalty and peasants alike since at least the 15th century, if not earlier. He has the characteristic double coat, prick ears, wedge-shaped head and upturned tail of the Nordic breeds. While he tends to love people and is often playful and alert, be aware: He can be a barker. 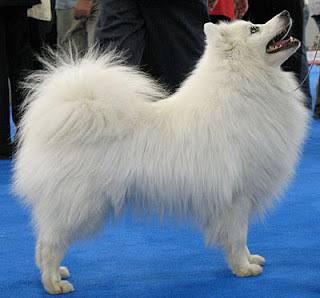 The Volpino Italiano is Italy’s contribution to the Spitz, or Nordic, family of dogs. Although he’s rarely seen in the United States, if you do spot one, he will most likely be adorned in white fur . His coat may also come in fawn, red, black or champagne, but those colors are uncommon. Generally alert and intelligent, the Volpino tends to be a good watchdog, barking to alert you of the presence of people on your property. He can be wary of strangers, sharply registering his alarm when he encounters new people or dogs on walks. Even so, this snowball of cuteness will draw the admiration of people wanting to get to know him. If you are looking for a small but generally active dog that can potentially excel at dog sports such as agility, nose work and rally, this typical ball of energy is one to consider. 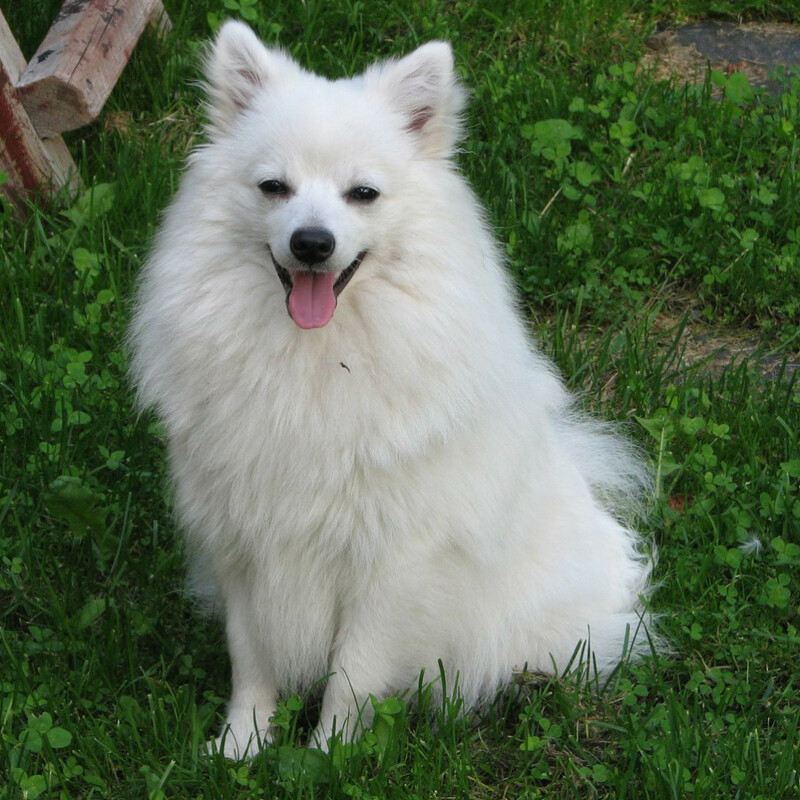 The Volpino is often mistaken for a Pomeranian or Miniature American Eskimo, but he is a distinct breed. Differences can be seen in the head shape and size, with Volpinos being slightly larger than Poms. The Volpino is a rare breed with only 3,000 or so in the world. Most are found in Italy, but other countries where they’ve made their homes include the Scandinavian nations, Great Britain, the United States and Canada. 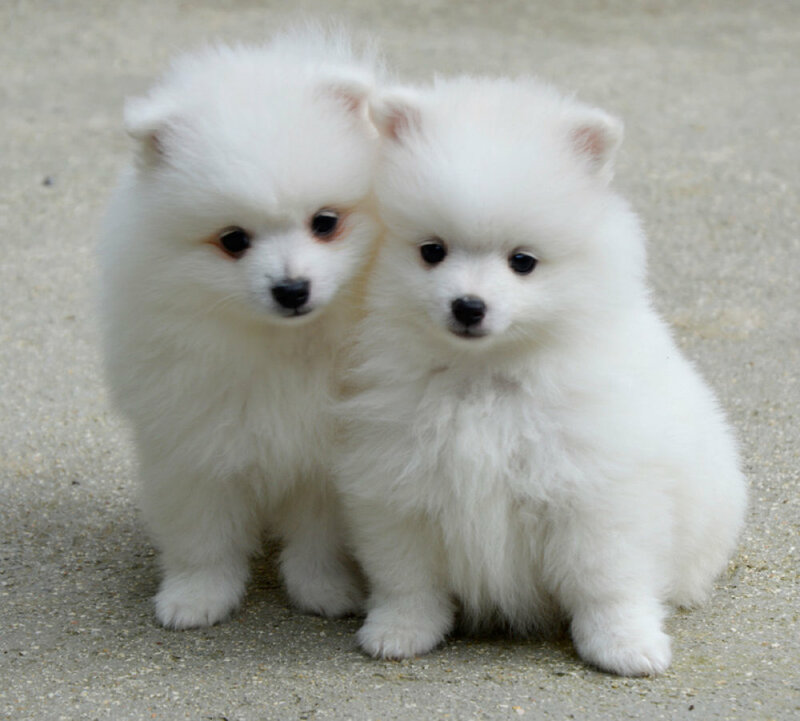 Queen Victoria is said to have brought home a pair of Volpinos from Florence, Italy, in 1888, but she contributed to the breed’s misidentification by referring to them as toy Pomeranians. 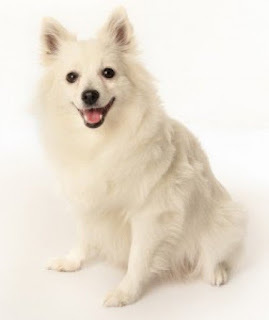 Volpino Italiano, being a direct descendant of the Spitz breed of dogs, has been in existence for more than 5000 years, as revealed from records. In fact, several paintings and artifacts of the 1500s, depict a similar breed having erect ears and white, curled tails. Being a favorite among the ladies, its popularity in the Italian royalty persisted for over centuries. Queen Victoria had many Volpinos in her possession which she had brought on her visit to Italy, White Turi, Bipo, Lena and Linda being some of them. Though small in size, it was used as a guard dog assigned with the task of alerting the bigger breeds at the sight of an intruder. In spite of its long and eventful history, it became popular outside of Italy, not before the 1880s. It obtained recognition from the FCI in 1903, but was on the verge of extinction in the second half of the 20th century, with only five Volpino Italiano registered in the year 1965. Several initiatives were taken for its revival in 1984 by Enrico Franceschetti as well as the Italian National Kennel Club (ENCI). 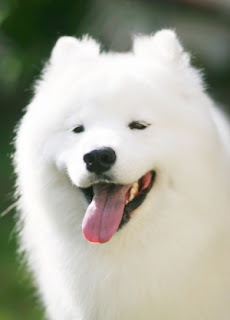 At present, they are still categorized as a rare breed with only 4000 dogs present in total. Though they are majorly concentrated in Italy, their breeding has been taking place at present in 15 countries including Brazil, Russia, Holland, Denmark, Ireland, Sweden, Greece, Hungary, U.K., U.S.A, Holland, Finland, and Canada. The Volpino makes a good watchdog, and some can even be used as gun-dogs (bird dogs) if trained properly. They will make extremely active, affectionate pets. These energetic, lively and active dogs have a loyal and affectionate nature, bonding well with the members of their house, thus emerging as a good family dog. In spite of its closeness to its family, it is not too clingy and can move around independently. However, it longs for the affection and attention of its loved ones. If their watching ability is channelized in a proper way, they can make for good watch and even gun dogs. They mingle well with kids, especially those who can handle them in a matured and tactful way. The perfect Volpino puppy doesn’t spring fully formed from the whelping box. He’s a product of his background and breeding. Look for a puppy whose parents have nice personalities and who has been well socialized from an early age. The basic well being and health of the Volpino Italiano breed are far better than with most dogs. However they are not immune to genetic and other diseases. As of mid-2013, the greatest threat facing this race is the genetic mutation of the eye lens called primary lens luxation (PLL). This is an extremely painful disease that manifests itself when the zonal cords holding the lens in place weaken and break at a genetically pre-determined time (usually about 4 to 8 years old). Once the zonal cords break, the lens begins to move into the interior of the eye increasing the pressure in the eye and causing the animal great pain. Because of the expense in removing the lens or the eyes, the animal is usually euthanized. The long and dense coat of this breed will need regular brushing to keep it in tiptop condition and maintain its beautiful appearance. The Volpino Italiano is pleasingly independent in nature but with its intelligence and human oriented nature, it is generally easy to train. Harsh training methods will not suit this breed and it should be trained in a firm yet gentle manner. Because of the long and bushy coat, this dog breed requires weekly coat brushing and regular bathing. The Volpino Italiano requires a small amount of daily exercise. Volpino Italiano is easily trainable. Because they are very active, they can easily learn new tricks. Too much time should not be given to them because if they sense they can control you they will easily take advantage of it. The negative aspect of their intelligence is that they can be manipulative and very hard to control later. In the process of training him, you need a lot of positive reinforcement and you will definitely succeed. They should not be trained as watchdogs since they inherit the trait but unlike other breeds, they do not show any aggressiveness in their character. Since the dog is active, he requires a lot of time to exercise and to play. Additionally, they are problem solvers so if they do not find enough activity they can be very destructive. They must be kept busy always. They are recommended to be kept in homes with fenced compounds with much room to run about. If you keep the dog in an apartment, he will become bored and stressed hence the best families to keep them are the ones staying in a compound. He tends to bark a lot especially when left alone. To some neighbors are not comfortable with noise, the barking can annoy them and they will not cope up with high-peached dogs produced by these breeds of dogs. The training can help them to stop barking at command but the desire to start barking cannot be removed out them. Because they love company, separation can really affect them. The Volpino has a double coat — a soft, dense undercoat and a topcoat of rough, protective guard hairs. A ruff around the neck and a furry tail add to his beauty. The Volpino sheds, so brush him once or twice a week, with plenty of petting in between, to remove dead hair and help keep it off your clothing and furniture. You may also want to trim the hair on the feet between the pads and toes to give the dog a neat appearance. Of course, it’s important to keep the eyes and ears clean, too. How often you bathe a Volpino depends on personal preference. If he spends a lot of time on your furniture, you can bathe him weekly if you use a mild veterinary shampoo or you can give him a bath only as needed. Be sure you comb out any mats or tangles before bathing him. The rest is basic care. Trim the nails every couple of weeks or as needed. Brush the teeth often — with a vet-approved pet toothpaste — for good overall health and fresh breath. Is the Volpino Italiano the Right Breed for you? The Volpino takes his name from the Latin word “vulpes,” meaning fox, a reference to the breed’s foxy appearance.